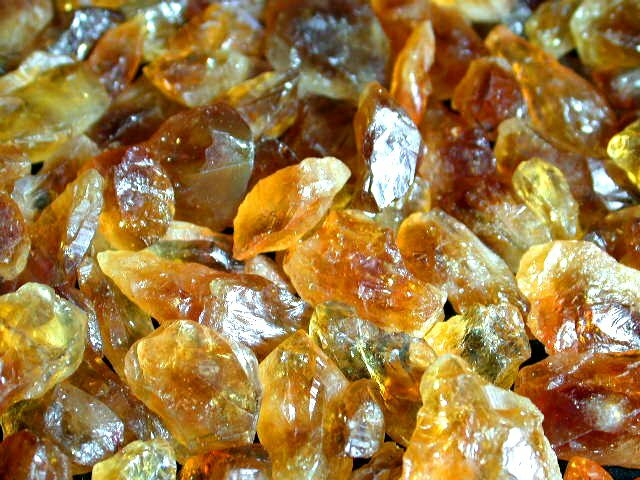 Random sampling of rough Citrine chunks offered. Stones typically range in size from roughly 1/2″ to 1+” inch and weights range from about 10 to 30 cts each. This citrine rough has amazing honey-golden color. It includes both rough chunks and possibly some crystal points. 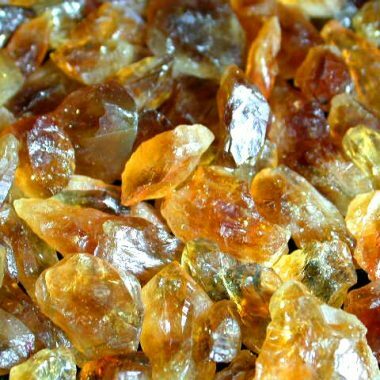 As far as we can find, it is superior to all citrine found at this price. This golden citrine rough is good for cabbing and some should also be facetable.